Maine is home to the only remaining populations of wild Atlantic salmon (Salmo salar) in the United States. These constitute the Gulf of Maine Distinct Population Segment (DPS), which has been listed as endangered since 2000. As anadromous fish, salmon face a large suite of threats to survival in both fresh and saltwater environments, including dams, pollution, and (historically) overfishing. Water quality is an essential component of suitable habitat for spawning and rearing. DEP monitors the water quality and biological communities in Maine's Atlantic salmon rivers and streams in close collaboration with state and federal agencies and non-profit groups, with the goal to restore and enhance the populations of this endangered species. Work is guided by Maine's water quality standards (38 M.R.S. 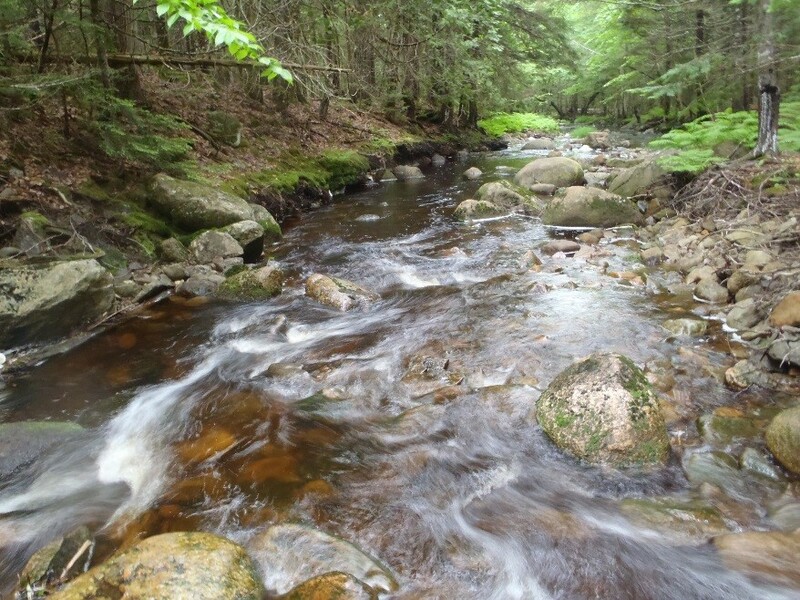 Section 464 4-A; for further information see Maine's water classifications) and the Atlantic Salmon Recovery Framework's Atlantic Salmon Recovery Plan. 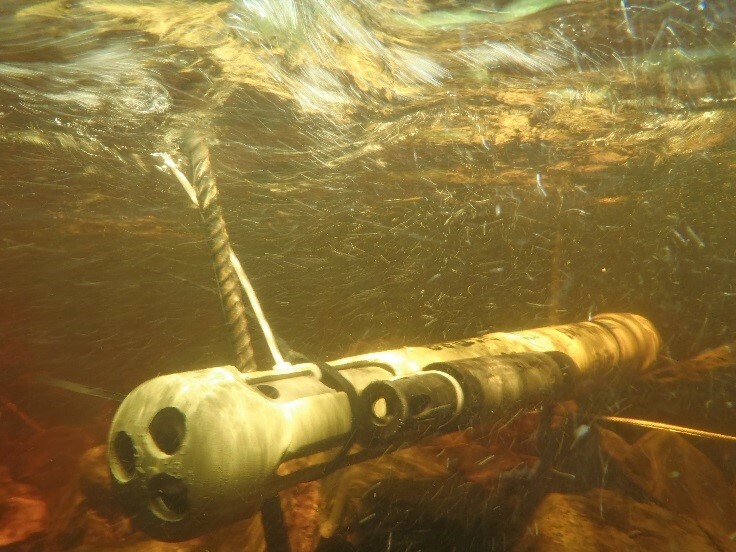 Higher temperatures often coincide with summer low flow conditions, including low dissolved oxygen.Seasonal droughts exacerbate these sub-optimal conditions. Low flows may prevent movementof salmon to areas of refuge with cooler, oxygenated water, such as small tributaries or groundwater seeps. Salmon exposed to sub-optimal conditions such as these may experience sub-lethal physiological stress. If recovery between stressful episodes is inadequate, or if conditions are extreme, the stream may not be habitable for Atlantic salmon. The protection of riparian zones and in-stream refugia increases the resiliency of the ecosystem to stressful conditions, and is therefore important for the health of fish populations. The Clean Air Act has reduced the acidity of precipitation, however in Eastern Maine the detrimental impacts due to acid rain are still predicted due to the shallow soils characteristic of this region. Two centuries of logging in addition to acid rain have depleted the base cations from the system. The low buffering capacity of the underlying bedrock and surficial geology of the region result in greater impacts from acidification. Most waters in eastern Maine periodically experience acidic conditions (pH <6.5), resulting in detrimental impacts to salmon, especially during snow melt and spring/fall runoff. 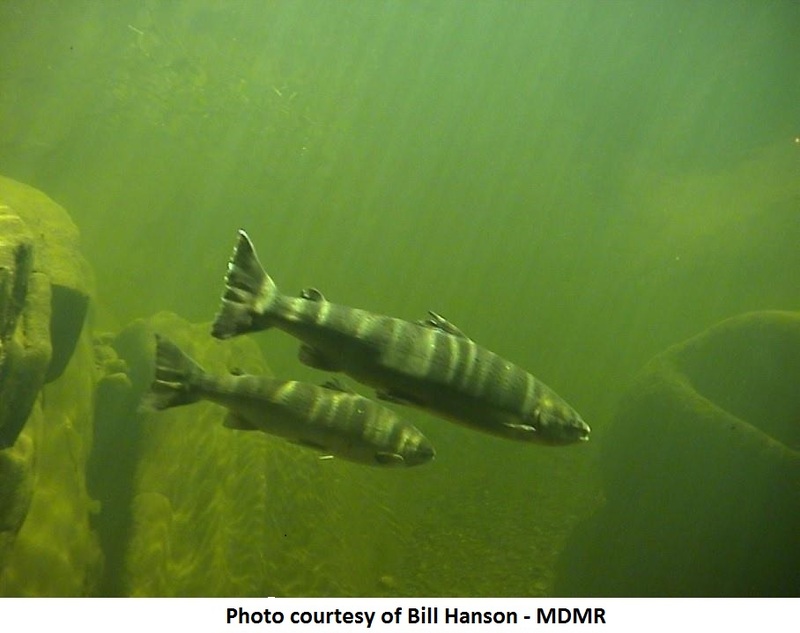 Liming acidic waters (using agricultural lime) has increased salmon abundance in Scandinavia and Nova Scotia, and has been recommended as a restoration action for Maine. A 2009 MEDEP pilot study investigating the efficacy of using clam shells to lime streams suggested a trend towards improved habitat quality, but further investigation is merited to determine the efficacy of the method as a restoration tool. Penjajawoc Stream Baseline Water Quality (June 2010). Summary of first two years of volunteer monitoring. Water Chemistry of the Narraguagus River (November 2008). Review of all available data. Salmon data are housed in DEP's central database, the Environmental and Geographic Analysis Database (EGAD). Salmon habitat is cataloged in the Maine Atlantic Salmon Atlas and in the Maine Stream Habitat Viewer. 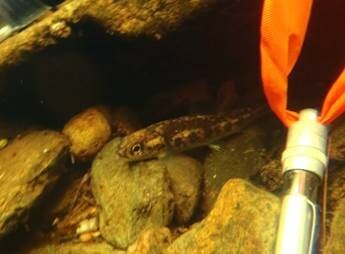 Stream temperature data can be accessed in SHEDS.